Vegan party foods that will please everyone - vegan or not! Vegans Eat What? Game day delights need to score with everyone, no matter which team they support. These winning recipes will please vegans and non-vegans alike! If nachos are your ticket, make them with Cashew Cheddar Cheese Sauce or Nutvetta. If you prefer almonds to cashews, make your nachos using Not-So Cheese Sauce. For a unique twist on traditional nachos, try Six Layer Tempeh Nachos. What Do Vegans Eat? Cheesy Nachos! Two vegan starters that always score big on any field are Mushroom Palmiers and Stuffed Mushrooms. Additionally, since every time-out needs a good dip and cheeseball, don’t forget the Artichoke & Spinach Dip and Walnut Encrusted Cheeseball. If your home team includes some of the “I like it hot” crowd, wow them with Mango Sriracha Cauliflower Nuggets. What Do Vegans Eat? 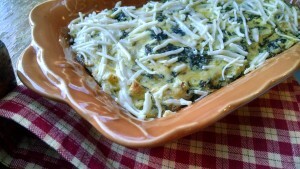 Artichoke & Spinach Dip! 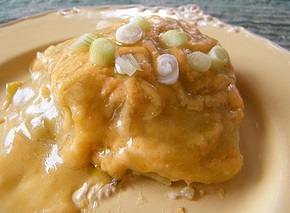 For no interference make-a-head meals try Tess’ Tempeh Chili or Glenn’s Enchilada Casserole. You won’t be flipping a coin when you have guacamole and cashew cream ready for your guests. For the non-traditionalist, try a Potato Bar or Living Lasagna. What Do Vegans Eat? Enchilada Casserole! If burger and pizza are your preference, you’ve scored. 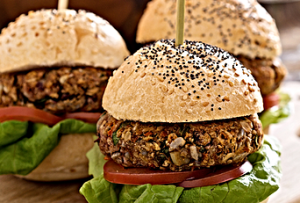 For a burger more akin to a traditional version, go for a Good Burger, otherwise try a Black Bean & Walnut Burger with all the fixings. What Do Vegans Eat? All kinds of plant-based burgers! 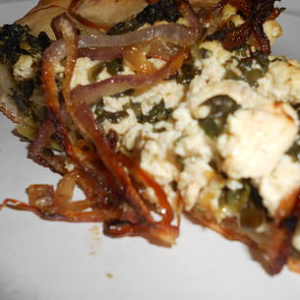 If you like pizza, make a marvelous Tofu & Spinach Galette. You can also make your own pizza with store bought dairy-free dough, vegan cheese shreds and the toppings of your choice. Or, purchase frozen prepared vegan pizzas like those offered by Daiya, Tofurky and Amy’s brands. 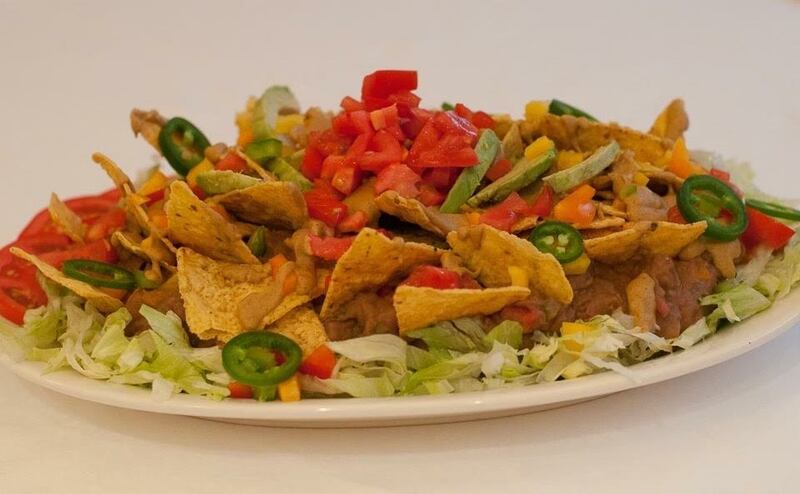 Whatever you serve, be sure to have sides of fresh cut veggies salsa & sour cream for your cheering crowd. What Do Vegans Eat? Savory pie and pizza! On the sweet side, Cocoaties are an easy no bake treat that will score a touchdown every time, and no one will guess theses Brownies were made with beans! For an amazing finish try Pie In The Sky. What Do Vegans Eat? Custard and pie ~ oh my! Game day or not, it’s a great time to be vegan and enjoy the game! VEW Note: For a humorous look at football and vegans, check out A Vegan’s Guide to Football by Mark W. Reinhardt. Mark also shares his favorite game day delight! 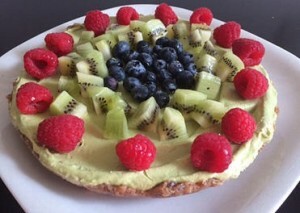 Categories: Featured, FoodTags: vegan burgers, vegan desserts, vegan nachos, vegan starters, What do vegans eat at parties?, What do vegans eat on game day?